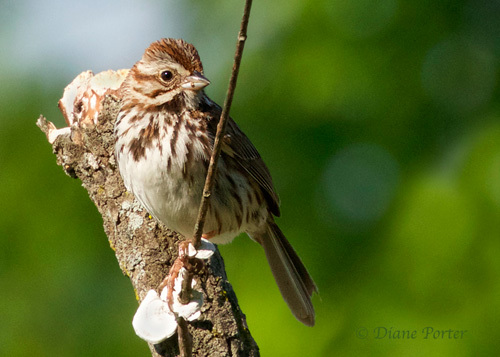 He's a philosopher, this Song Sparrow. My garden is part of his home. Sometimes he sings. Sometimes he dives into the brush pile. Sometimes he perches on a snag and contemplates. I like that, because he gives me a chance to really see the intricate stripes on his face and the badge over his heart.